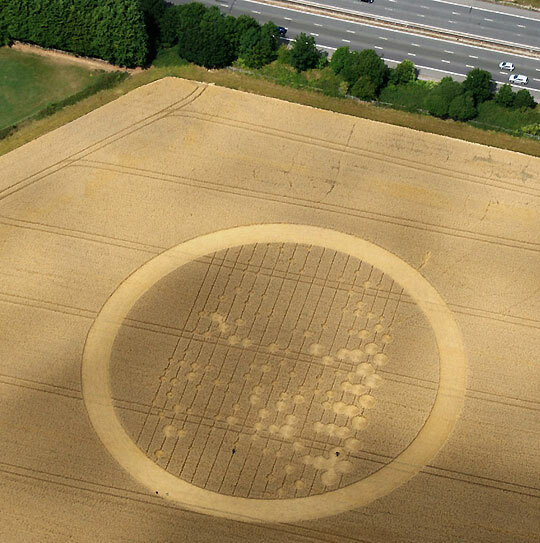 Top circle on the South side of the M4 near Wickham Green in Hungerford, Berkshire, England. 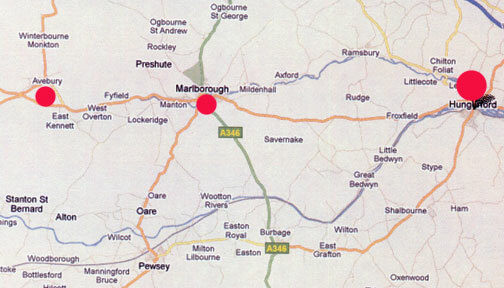 Bottom circle on the North side of the M4. Aerial image © 2010 by Madelien Scholten. Closer aerial of the circle on the North side of M4 near Wickham Green. Aerial image © 2010 by Madelien Scholten. 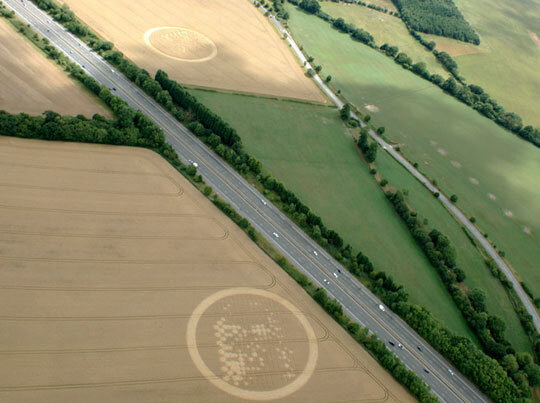 Closer aerial of the circle on the South side of the M4. Aerial image © 2010 by Madelien Scholten. 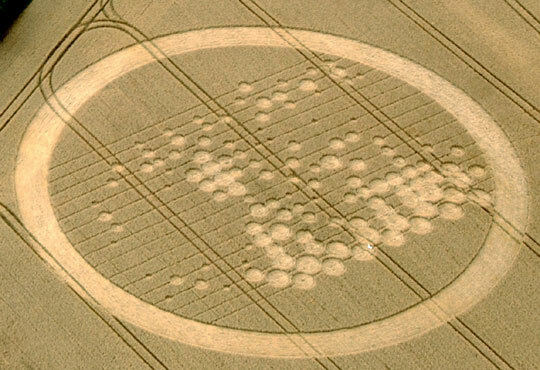 Wickham Green in Hungerford, Berkshire, England, is straight east of the ancient stone circles of Avebury and the Vale of Pewsey in Wiltshire County that have been a central focus of crop formations since the end of the 1980s.